I don’t know about you, but I am getting sick of this snow! Getting to work was a bit rough this morning (luckily Farmer Ben drove me). Life has been crazy and I’ve been a bad blogger-my apologies! In other news, Happy Valentine’s Day! Doing anything special? 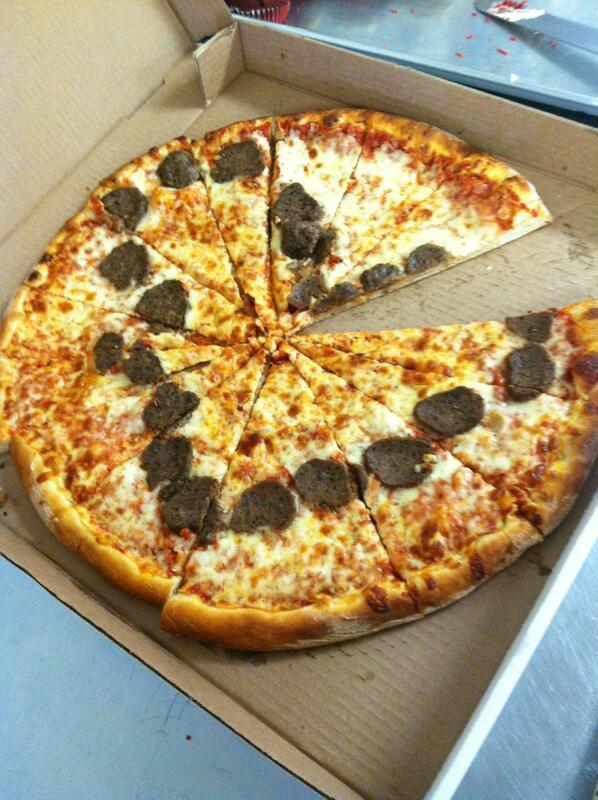 We don’t normally do much, but I couldn’t resist doing something cheesy….So, I sent the hubby a meatball pizza at work….meatballs in a heart shape. He loved it! I’m so glad, because he’s pretty great… and he got to share the love with his coworkers! That’s all for today… Have a great weekend! Best Valentine you’ve given? Received? !